Diesel Care Services is a specialist company in diesel powered engines and equipment. 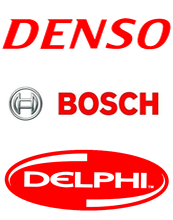 We specialise in diesel fuel injection systems including various Bosch, Delphi and Denso manufactured injector pumps, common rail pumps, and injectors. We have the capacity to remanufacture pumps and injectors with the shortest amount of time possible. Our fully trained and vastly experienced staff can ensure you will receive the best customer service and assurance.